Professor Bryan Gaensler, CAASTRO Director, The University of Sydney. Photograph by Daniel Boud, The University of Sydney. 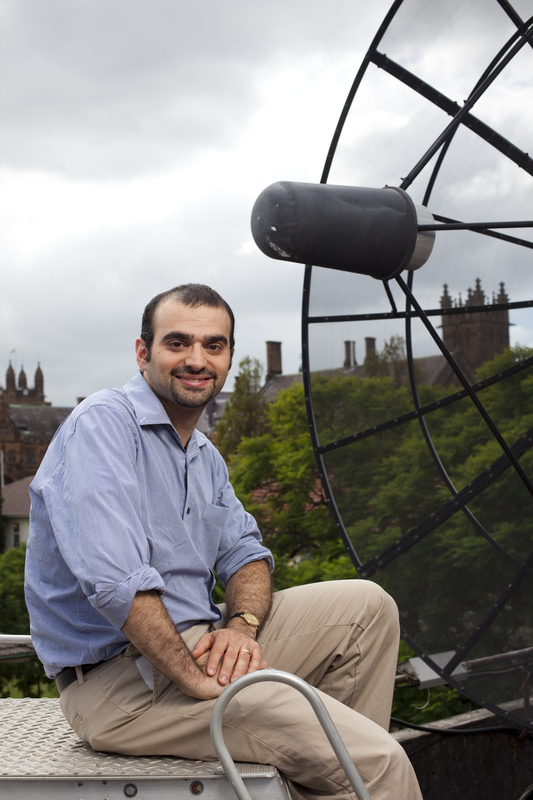 Professor Bryan Gaensler is an Australian Laureate Fellow at The University of Sydney, where he was the founding director of the ARC Centre of Excellence for All-sky Astrophysics (CAASTRO). He received his PhD from The University of Sydney in 1998, and subsequently held positions at MIT, the Smithsonian Institution and Harvard University before returning to Australia in 2006. In January 2015, he will commence as director of the Dunlap Institute for Astronomy and Astrophysics at the University of Toronto. Bryan has >250 peer-reviewed papers on cosmic magnetism, neutron stars, supernovae and the interstellar medium, while his popular astronomy book “Extreme Cosmos” was published worldwide by Penguin in July 2012, and has been subsequently translated into Japanese, Polish, German and Italian. He was the 1999 Young Australian of the Year, was awarded Australia’s 2011 Pawsey Medal for outstanding research in physics, and in 2013 was elected to the Australian Academy of Science. He tweets as @SciBry on science, politics, science-fiction and rugby league. Until 2003, I didn’t give two hoots about gender equity. There weren’t many women in physics, but that was perhaps because women weren’t very good at physics. And if there were more sinister reasons for the imbalance, they certainly had nothing to do with me. I treated everyone fairly and equally. If only everyone else did the same, there’d be no problem. I can pinpoint the exact moment when my worldview got turned upside down. In 2003, I was asked to serve on the PhD admissions committee for my department. This was Harvard, arguably the world’s most prestigious university, and the competition was extreme. We had received over 100 applications from all over the world, and we were only going to be able to offer 10 prized spots. The very first application I read seemed off the charts, and yet by the time I was done reading them all, the first one didn’t make it into my top 20. I was very aware how life changing an offer to Harvard could be. I developed my rankings with great diligence and thought. I factored in the obvious disadvantage in the track record of an applicant from the University of Kansas vs another from Stanford. I looked hard for the usual code words and clues in the letters of recommendation. I scrutinised the admission essays. The other half-dozen committee members, all distinguished Harvard professors, took their roles just as seriously. It was very satisfying to find such good agreements in all of our rankings, and to know that we would be able to make offers to 10 superb students. A month or so after the committee had finished its work and the offers had gone out, there was a lunch talk in the department on gender equity. I can’t remember why I decided to attend, but I remember sitting up the back, one of the few men in the room, as the speaker wheeled out the usual statistics on how so few women were studying and working in physics. Amidst the sudden silence, the speaker asked me if I had any evidence for this claim. That was it. That was the moment everything changed for me forever. The answer, of course, was that there were no women at all on our selection committee. The questions quickly came from all of the room. Was I aware that it was standard practice to have women on all committees? Did I know there were rigorous peer-reviewed studies, showing that all-male committees produced unbalanced outcomes? Had I ever heard of unconscious bias? My answer to all those questions was no. As the meeting ended, a friend gently pulled me aside, and gently told me that I was an ignorant pig. That began a journey for me, one that I’m still pursuing. Science is supposed to be evidence-based and objective, and I have too often failed on both counts. I still do some incredibly dumb, sexist, and insensitive things. Once while on fieldwork, I entered the observatory lodge after a long day’s work, to find a woman standing in the kitchen. I assumed she was the cook, and told her I was ready for my dinner. Except she wasn’t the cook. She was a distinguished astronomer. Once I entered the office of one of my PhD students, to find she had cleaned up her desk and had neatly sorted all her papers. “You’ll make a great wife someday,” I blurted out without thinking. I’m working on my terrible habit of interrupting women and talking over them. I’ve told female colleagues to “calm down”. Too often I’ve jumped to conclusions about a woman’s relationship or parental status, based on their appearance or context. But while my own pursuit of equity is still a work in progress, what’s equally important is that I help get others started on their own journeys. I can’t excuse my behaviour on that PhD selection committee, but I also wonder why I had never heard anyone talk about diversity and unconscious bias before then. What I tell my colleagues now is that they don’t need to care about equity, and they don’t need to do anything about it if they choose. But they do need to get informed. 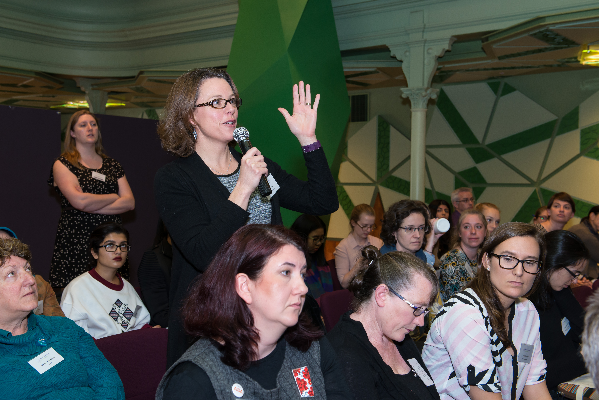 Everyone in science needs to know the data on gender, needs to know the research, and needs to know the solutions. Only then will ignorance be no excuse. Proud of my daughter who is a Physicist…got her PhD a few years ago. Proud of my son who has a BA in Communications. Proud of my daughter who has a Masters in Occupational Therapy. When you are passionate about something you go after it, male or female, no matter what the field. Kids need to know at a young age they can do anything they put their mind to.